Progressive three-year-old Tin Hat maintained his unbeaten record as a gelding when he handed Bravo Tango and Gold Mag a sound defeat at Ladbrokes Park on Wednesday. As was the case first-up over 1300m, the James Cummings-trained galloper made play under Craig Williams and kicked nearly three lengths clear at the 250m. While Bravo Tango and Gold Mag, both first-up, were able to eat into the margin late, they never looked a legitimate chance of overhauling the son of Helmet, who clocked 1.11.82 for the gallop. Williams, who extended his lead at the top of the Melbourne Jockey Premiership, said Tin Hat had the scope to continue his rise through the ranks over the latter part of the summer. Jockey Mark Zahra urged punters not to dismiss Gold Mag’s autumn prospects, suggesting the son of Savabeel would be better suited over 1400m and even a mile. 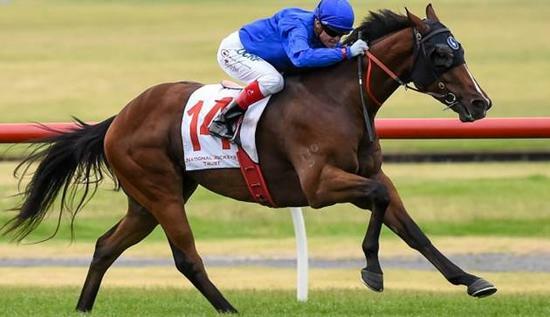 “He’s going to need further, he needs 1400m and I reckon he’ll end up wanting a mile in time,” Zahra said.